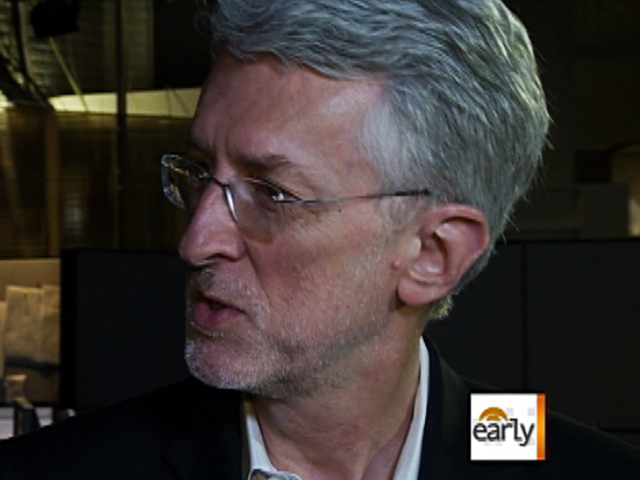 This past Saturday night Jeff Jarvis had just about enough. "I'm watching the evening news, I'm seeing the latest on the debt crisis, I'm getting mad and I'm going back to Twitter," he said. A journalism professor at City University of New York with 75,000 Twitter followers, Jarvis put out a message in plain - though off-color - English. "So I said, 'Hey Washington, it's our economy and our money, so F--- You!,'" Jarvis told CBS News correspondent Jim Axelrod. Like Howard Beale - the angry anchorman from the 1976 movie "Network" who was "mad as hell and not going to take it any more" - Jarvis touched a nerve of outrage. Psychnurseinwi: "#F---youwashington for having the compromising skills of a 3-year-old." astriddare: #F---YouWashington for enslaving all future generations with the largest debt in human history." There were 64,000 tweets on Monday alone. "One tweeter, Jeff Howe, said there was a large pile of dry kinder and that all I did was throw a match on it," Jarvis said. "People were mad about Washington, they were mad about this current so-called crisis, and they just wanted to get it off their chest." In the latest CBS News poll, 79% of Americans are angry or dissatisfied with Washington. More blame Republicans than the president. It's outrage spreading beyond U.S. borders. "The biggest threat to the world financial systems comes from a few right wing nutters in the American Congress," said MP John Vincent Cable on the BBC's "Andrew Marr Show." Modern technology has clearly made it easier than ever for people to express themselves. "The beauty of this is you can hear the voice of the country - not mediated by media or by government or anybody else," said Jarvis. Even if you still have to read all about it.